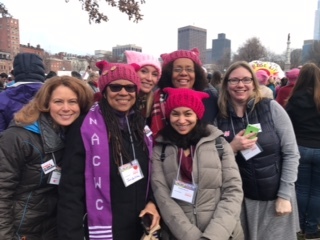 We are marching in Boston tomorrow along with hundreds of women from Southeastern MA, including three buses organized by the YWCA of Southeastern MA, Coalition for Social Justice and SEIU 1199. “We are going to honor and protect the hard-won freedoms of the women of all races and classes who fought before us. Freedom from slavery. The right to be educated and vote. Better working conditions. Reproductive choice. Support for survivors of sexual and intimate partner violence. An end to sexual and intimate partner violence. Equal pay for equal work. Full representation at all levels of leadership. Respect. 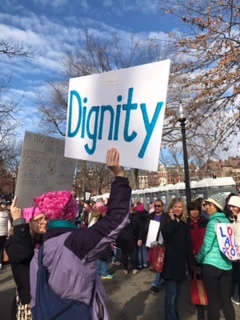 Dignity. Autonomy. We are going because there is still much more work to do. All women are not yet full and equal members of this region, state, and country. We are going to be in solidarity with all those who share this vision. We are going to show that we are in this together: working women, stay-at-home moms, immigrants, GLBTQ, all faiths, all colors, and yes, men. Around 8:30 A.M. on Saturday, January 21, 2017, people began to gather at the YWCA on 20 South Sixth Street. 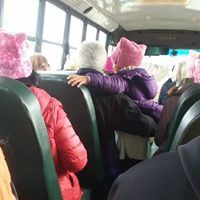 Over 40 people boarded the bus to attend one of the largest marches in history, the Boston’s Women’s March at Boston Common. 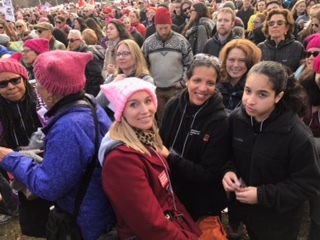 There was a feeling of excitement knowing they would be a part of history and have the opportunity and freedom to gather in a non partisan, peaceful and meaningful manner to let their voices be heard and advocate for the rights of women, children, people of color, immigrants, LGBTQ and others. 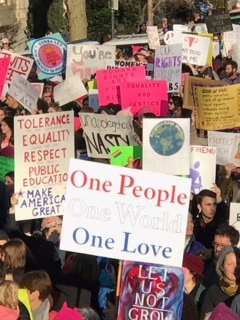 What an experience it was to be marching with hundreds of thousands of people who wanted to make a difference. We will continue to advocate for the elimination of racism and the empowerment of women. Please join us! We need everyone’s voice to make change. More volunteers are needed. In the coming days, weeks and months, we will have more opportunities for you to participate in advocacy. Click Here for more information.